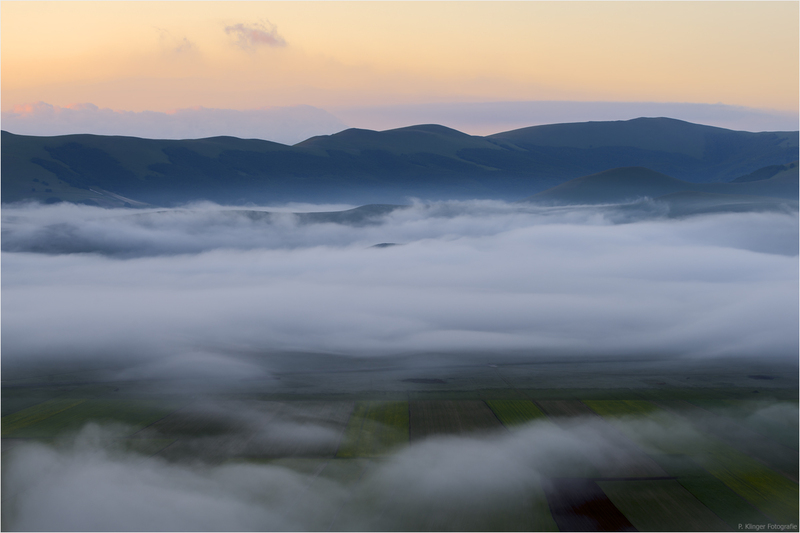 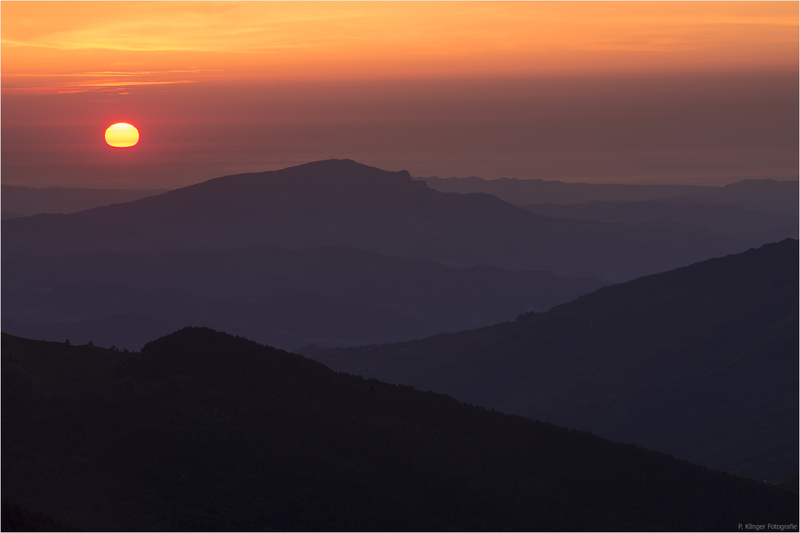 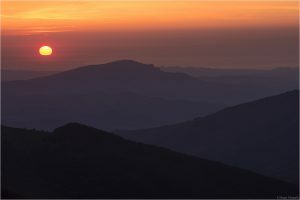 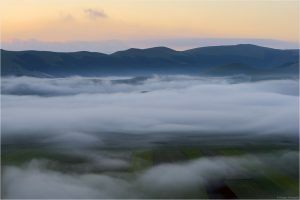 The sun rises above the Adriatic Sea and behind the hills of Monti Sibillini. 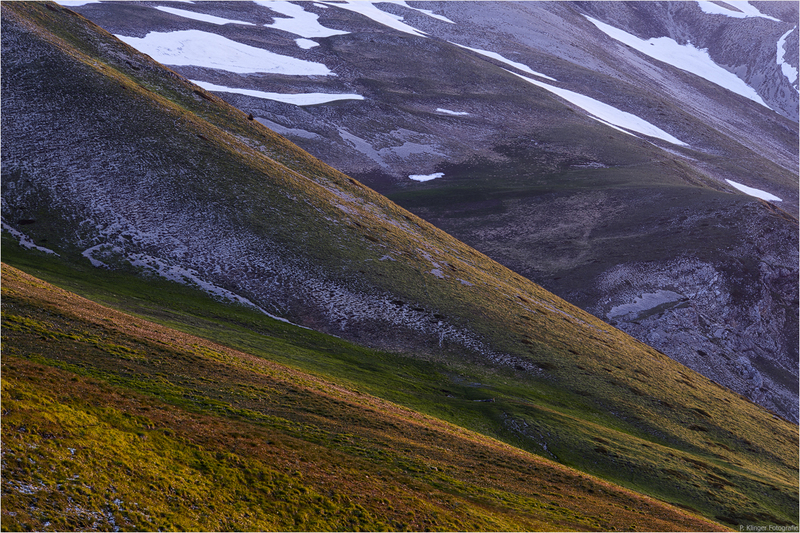 First sunrays illuminate the hillside of Monte Vettore (2476m). Every morning, fog is swirling in the depression of Piano Grande. 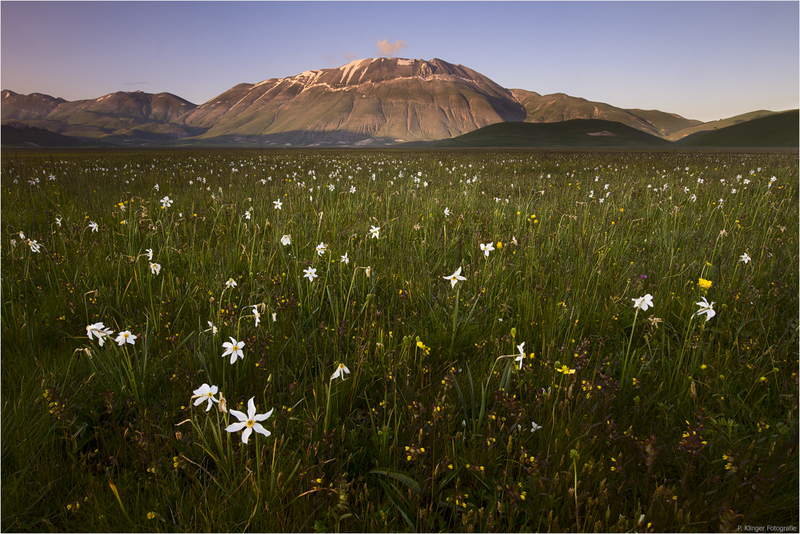 Countless wildflowers are covering the plains of Piano Grande below Monte Vettore. 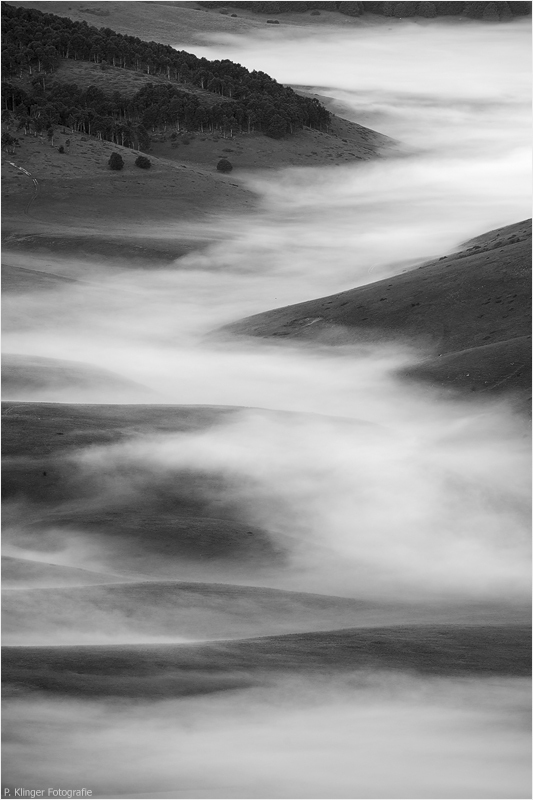 It takes a long time until the fog disappears as the sun reaches Piano Grande quite late.